Kevin Lewis is a Partner and President of Air Sciences. For more than 25 years, he has worked with governmental agencies and the private sector in air quality permitting, compliance, modeling, emission estimation and control, and regulatory development. With a background in chemical engineering, his experience also extends into the chemical manufacturing industry. During his career at Air Sciences, Kevin has secured PSD, Title V, and minor source air permits for facilities throughout the US. In addition, he has assisted his clients with their air quality needs in the UK, Latin America, and other countries. His air quality experience includes mining, power generation, oil and gas production, and a variety of other industries. For these industries, he has developed air permit applications, performed regulatory audits, provided expert testimony, and worked directly with agencies to find air quality solutions. Mark is a Partner and Vice President of Air Sciences. He has worked on scientific studies, regulatory analysis, and program management since 1984. Mark was President of Air Sciences from 2004 through 2010. Mark has been the principal air quality scientist on the Owens Lake Dust Mitigation Project (OLDMP) for the Los Angeles Department of Water and Power (LADWP) since 1997. From 2006 to the present, he has served as Program Manager and science advisor on a $30 million+ Owens Lake Science, Technology, and Regulatory contract for the LADWP. 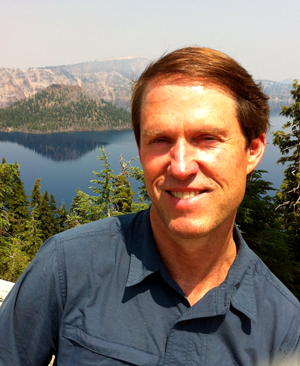 Prior to 1997, Dr. Schaaf was the Program Manager on a multi-million dollar contract to provide nationwide air quality services to the USDA Forest Service and other federal land management agencies. He was the principal investigator on dozens of air quality impact reports and models, and was lead instructor on training courses across the West. Mark is a leading air quality expert and author of reports and scientific publications dealing with fugitive dust emissions monitoring and modeling, wildland fire behavior and smoke emissions modeling, landscape-scale fire effects tradeoff analysis, and micrometeorology. His early experience was as a firefighter, timber cruiser, and sawmill worker around Oregon. Dave is a Partner and Vice President of Air Sciences. He has worked in planning, permitting, regulatory analysis, and negotiating with regulators since 1988. His corporate roles include business development, contract negotiations, and Chairman of the Board of Directors. His technical expertise covers emission permitting and compliance for industrial sources, AERMOD analysis review and results interpretation, air quality impact assessment and mitigation under NEPA, and tribal air quality program development. Among his specialties are presentation and communication of technical and regulatory information. Dave has developed technical products and decision-support tools for the Western Regional Air Partnership to improve quantification and management of fire emissions in the US. Regional emission inventory development, determining practices for refining fire activity, and supporting regulators to manage smoke are his areas of expertise. Dave provides subcontract management and regulatory support to large Air Sciences projects (including the Owens Lake Project). The most rewarding aspect of his job at Air Sciences is building relationships with colleagues and clients in order to work on and solve the air quality-related challenges we encounter. Elizabeth has provided air quality analysis and consulting services for the public and private sectors since 2005. Her area of expertise includes emission inventories, permitting, compliance, regulation development and applicability evaluation, and GIS. Elizabeth has developed emission inventories for industrial sources, including estimating criteria and hazardous air pollutant emissions from fugitive dust, combustion sources, and mining processes. She has completed numerous permit applications and analyses, including environmental impact analyses for complex sources. She has consulted with the Nevada Mining Association (NvMA) in the development and implementation of the Nevada Mercury Control Program and the Federal Mercury MACT. This included preparing technical documents on behalf of the NvMA addressing mercury air emissions and mercury control technologies. This work culminated in the permitting of existing, new, and modified mercury sources. Elizabeth has provided GIS support for numerous air dispersion modeling applications, siting studies, and environmental assessments. In addition to her consulting work, Elizabeth also serves as Air Sciences’ Corporate Treasurer. Maarten is a scientist with substantial ecological experience who has worked in various aspects of air quality analysis, quantification and mitigation of fugitive dust emissions, and modeling of ecological processes and (wildland) fire emissions since 1993. He is a certified senior ecologist and has been published in a variety of scientific papers and presentations. His expertise in air quality includes developing emission inventories, developing and implementing data analysis methodologies, modeling of atmospheric dispersion and chemistry, and conducting environmental compliance analyses. Maarten has developed air quality compliance methods for ozone and carbon monoxide for the Czech Hydrometeorological Institute in Prague, Czech Republic, the Czech national equivalent of the EPA. He is experienced in evaluating fugitive dust emissions through data analyses, field studies and modeling. The focus of his work in this area has been on the quantification of particulate matter emissions from desert playas and other desert soils, the associated air quality impacts, the development and field testing of mitigation measures, and the evaluation of these measures in the context of air quality compliance regulations. Matt is a Principal Air Quality Scientist and Project Manager at Air Sciences. He specializes in environmental data analysis, database design and management, and application development. He has been involved in atmospheric research and air quality analysis since 2001. Matt has done extensive analysis work supporting monitoring, modeling, and environmental assessments, and has developed a number of software tools for managing monitoring and observational data for various projects in his 10+ years with Air Sciences. His work involves developing web-based applications for data streaming, storage, and post-processing for meteorological and air quality monitoring sites. Since 2008, Matt has worked with several western states and Tribes to develop a Web-based decision support tools for smoke management. He has also led the technical work for the Western Regional Air Partnership to develop national fire emissions inventories and tools to integrate fire, photochemical modeling, and observed air quality data into interactive air quality analysis tools. Matt also regularly provides review and analysis for Exceptional Event demonstrations for ozone and high-wind dust events, and has experience with regulations and permitting in the Portland Metro region. In addition to his consulting work, Matt plays an active role in operations management at Air Sciences. Ejaz is a senior air quality engineer at Air Sciences Inc. He has worked in air quality and environmental research, technical and regulatory analyses, permitting and modeling in consulting and academic sectors in the US and Canada since 2000. Ejaz is experienced in criteria and hazardous air pollutant analyses and emission calculations, emissions inventories development, and air permitting and compliance monitoring. He manages permitting projects including proposal writing, project strategy development, cost estimation, and interaction with regulators. He has provided complete air compliance management services to clients by developing and implementing methods to ensure timely source compliance with applicable federal, state, and regional air pollution control programs. Ejaz is well acquainted with a variety of regulatory and third-party software suites used in support of air quality consulting work. His knowledge of modeling suites includes EPA’s AggreGATOR, ArcHydroTools, and AERMOD modeling system, and graphic and GIS applications like AUTOCAD, SURFER, and Arc View. Ejaz also oversees and manages the support operations and staff at Air Sciences Inc. as administrative manager. Joel has worked in air quality since 2002. He assists clients with air permitting, emission estimation and inventory development, dispersion modeling, regulatory applicability analysis, BACT determinations, and compliance tracking and demonstration. Joel provided comprehensive air quality consulting services for the Barrick Cortez and Ruby Hill Mines in Nevada, among others. He prepared and submitted several permit modification applications, provided support for compliance issues, and has worked with mines and regulators on implementing new mercury control rules. He has performed regulatory dispersion modeling analyses for various open-pit and underground mining operations in Colorado, Nevada, Arizona, and Latin America. He has also performed a PSD modeling analysis for a power generation facility, modeling analyses for oil and gas exploration projects on- and off-shore, and impacts from a chemical facility. He has worked with mining clients on compliance tracking and reporting, and to develop compliance tracking tools. Joel’s corporate responsibilities have included managing and training several employees, operating and maintaining Air Sciences’ computer and phone networks for several years, and managing Air Sciences’ office space in Golden, CO.
Tim is a Senior Air Quality Scientist who has worked on dispersion modeling and meteorological analyses, emission inventories, regulatory analyses, and air quality permitting since 1998. Tim provides technical and regulatory air quality services to a variety of industries including oil and gas, mining, power generation, and industrial manufacturing. He is a project manager and technical lead for complex projects, including PSD permitting efforts. His work includes cost estimates and budgeting, technical work and reports, and agency negotiation. The technical work on permitting projects has included regulatory reviews, emission inventories, BACT/control technology analyses, dispersion modeling, and health risk assessments. For a wide range of industrial facilities, Tim has conducted impact analyses using dispersion modeling for demonstration of full facility compliance. Tim has previous state agency experience with the Arizona Department of Environmental Quality, where he was the chief permit modeler and a part time permit engineer. He was also formerly a corporate environmental engineer for a leading manufacturer of fiberglass insulation and roofing products. John is a Senior Air Quality Scientist and Statistician who has worked in industry and with government agencies to support a data-driven approach to decision-making, planning, and operations. He has been working in natural resources and environmental science since 2002. John focuses on statistical analysis and modeling, experimental planning and design, and research project development and management. He has developed monitoring and alert systems, as well as automated reporting tools, which allow clients to continuously monitor their data collection performance and anticipate analysis results. For the Owens Lake Dust Mitigation Project in California, John has designed field studies, produced final analyses of study results, interfaced with regulatory agencies, and contributed to long-term project planning. His technical experience includes extensive use of database and scripting languages, data graphics, GIS, and analysis of remote-sensing imagery. John is also a registered Professional Civil Engineer (AK, OR, WA) with experience in civil and structural engineering design. His previous work experience includes positions as a field engineer for a major oil and gas company, and as research manager for a project to redefine structural lumber design values. Air Sciences is a team of scientists and engineers dedicated to finding the right solutions for our clients. We specialize in air quality services including dispersion modeling, permitting, compliance, monitoring, data management, and fire science. One of Air Sciences’ senior scientists, Dr. Katheryn Kolesar, recently published an article in Atmospheric Environment, with colleagues from the University of Michigan’s Pratt Lab, examining particulate formation due to road salt applications.